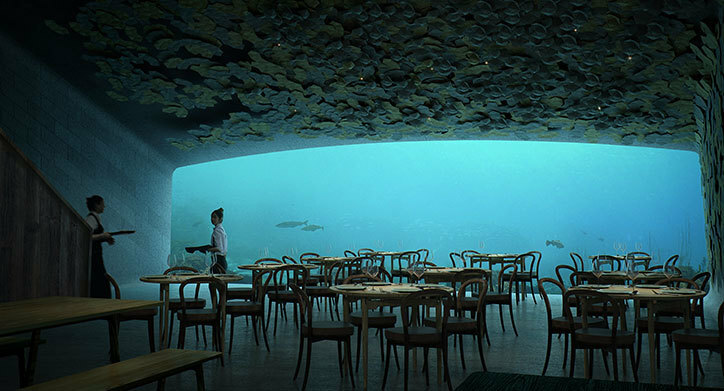 The Norwegian architecture group Snøhetta has released images of its design for Under, Europe’s first underwater restaurant in Lindesnes, Norway. 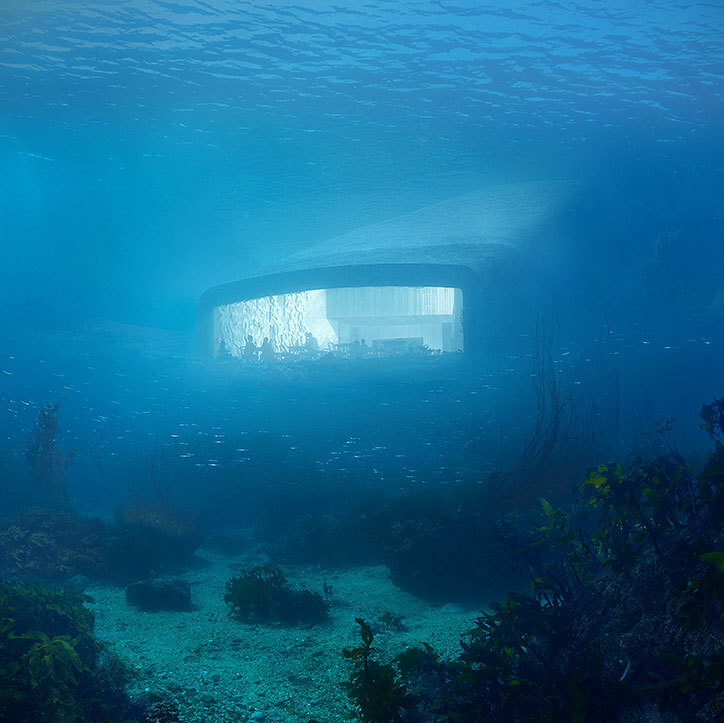 The project is set to begin construction in February 2018, with a concrete cuboid half-submerged like a monolithic shipwreck off the country’s southernmost point, leaning into the sea to give guests a view of the aquatic life below. 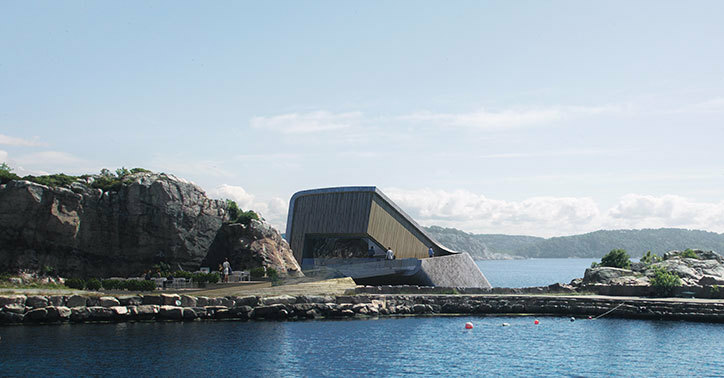 The designers hope that the building’s aesthetic among the rocky surroundings means it will become part of the marine environment. The surface of the concrete form is rough, to encourage mussels to cling on, as the architects aim to create an artificial reef that purifies the water and attracts more sea life. The building will also function as a research center for marine biology outside of restaurant opening hours, and researchers will help to improve conditions for fish and shellfish near the restaurant. 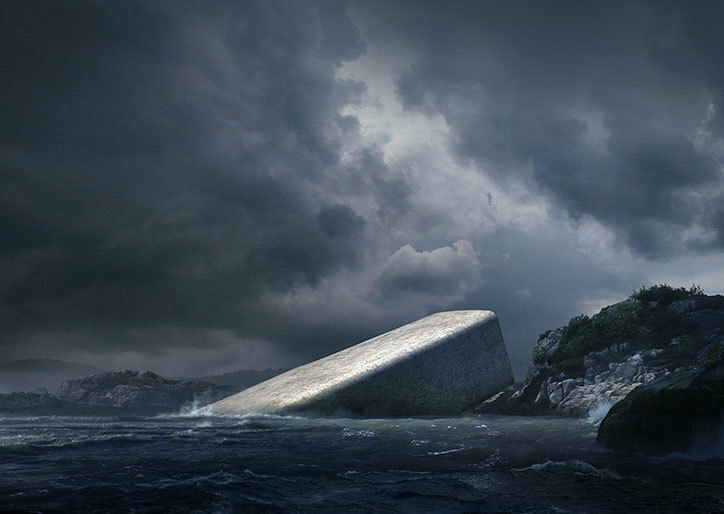 The structure will sit five meters below the surface and will have meter-thick concrete walls and an acrylic window to withstand the pressure and shock of the tide. The restaurant entrance will be clad in untreated oak that will weather to a grey color to fit with the concrete and surroundings. Inside there will be three levels descending to the dining area, with a dark blue and green interior to blend with surroundings. You can plan to visit in late 2018. 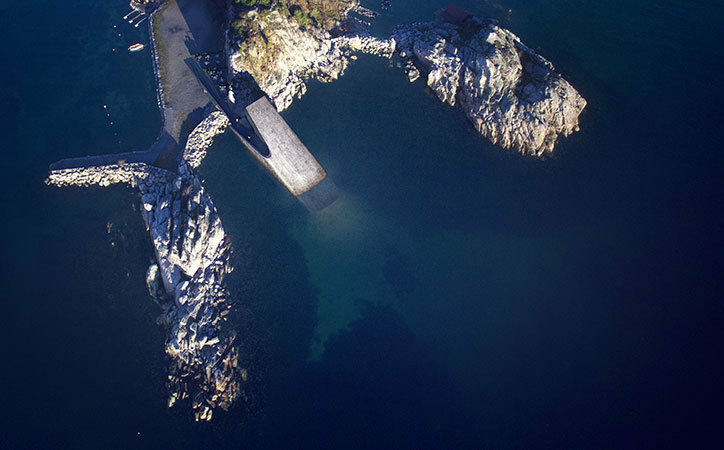 This entry was posted in Architecture, Europe, Restaurants, Tourism and tagged Lindesnes, Norway, VisitNorway. Bookmark the permalink.